Already made up your mind and itching to vote? You’re in luck. Early voting began Monday morning in Massachusetts, and it will be offered to residents until Friday, Nov. 2, the Friday before the Nov. 6 election. Cities and towns are required by state law to offer early voting during their local election officials’ normal business hours, but they can also offer extended hours, including on the coming weekend, said Debra O’Malley, a spokeswoman for Secretary of State William F. Galvin. She said the office had offered grants to local election offices so they could stay open on the weekend, and many had taken up the offer, most of them offering Saturday hours and a few offering Sunday hours. She cautioned that in some smaller towns, “their regular business hours aren’t extensive” so people should check ahead. People who want to know the details on how to discharge their civic duty early can go to massearlyvote.com to find out polling place locations and schedules for their communities, she said. She noted that voters should be able to cast ballots at any early voting location in their community, no matter where they live in that community. The first towns to offer early voting Monday were Ashburnham, Acton, and Hudson, where people could begin casting ballots at 7 a.m., she said. 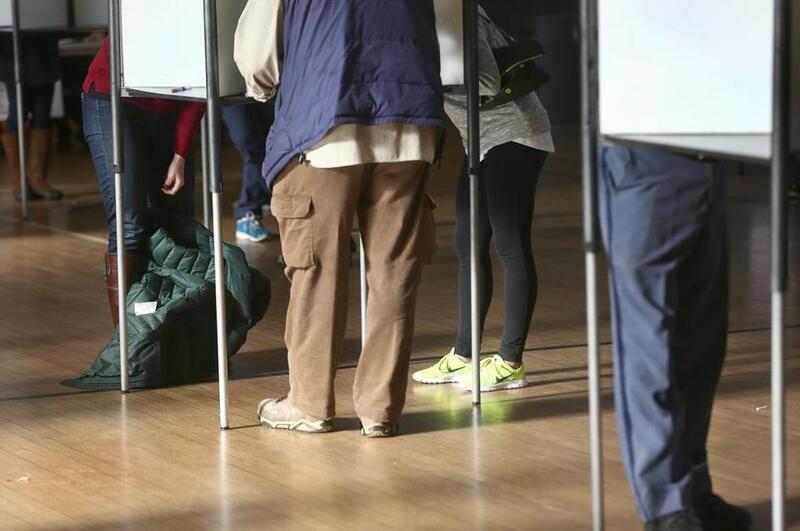 It’s only the second time early voting has been offered in Massachusetts. The first time was in 2016, which was a presidential election year rather than a midterm election like this one. It proved quite popular, with 1 out of three ballots, more than a million, cast early, she said. No excuse is required to cast a vote early. Voters also have the option of voting by mail. Anyone with questions can also contact the state’s Elections Division at 1-800-462-VOTE (8683). Voters will cast ballots in contested races for US Senate, governor, attorney general, secretary of state, state treasurer, and state auditor, as well as a number of other contests, depending on where they live. They will also decide on statewide ballot questions asking voters whether to regulate nurse staffing, repeal the state’s transgender antidiscrimination law, and create a commission to consider and recommend an amendment to the US Constitution that would void the Supreme Court’s 2010 Citizens United ruling. A couple of ballot questions are driving a lot of interest — and television advertising. Question 1, which deals with nurse staffing ratios, is the biggest tossup on the ballot, according to recent polls. There has also been a strong grassroots effort on Question 3, the proposal to scrap an existing state law on transgender rights. James Pindell and John Hilliard of the Globe staff contributed to this report.